Our program is designed to allow you to purchase the home you want now, while you rebuild your credit. The best part of our rent-to-own program is that YOU, the tenant (soon to be the homeowner), can choose from any home currently for sale! You participate in the entire buying process from start to finish — including inspections and appraisals! Our lease-to-own program is a great option for anyone who has experienced a financial hardship and can’t qualify for traditional lending, but who has been able to start to recover and save towards their down payment. If you have gone through a divorce, bankruptcy, short sale or foreclosure, and would have otherwise qualified, you may be a perfect fit for Lease to Own. The program requires that you have not had any late payments for the last six months. 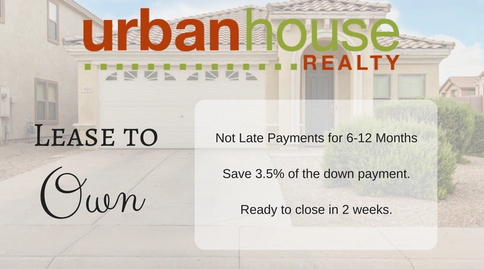 and that you have 5 percent of the purchase price saved towards your down payment. Our investors always write cash offers, so they can typically purchase the home for less than market value and close in about two weeks. All potential lease-to-own candidates meet with one of our licensed lenders. The lender will review your credit, income and overall situation. If it appears that you will be able to qualify in the next 12 months, then we are able to get you into your new home today! If needed, our lenders will even design a custom credit repair plan to help resolve any issues. There is no additional charge for this service! After you pick out the home and the investor’s offer is accepted, you will need to deposit the Admin Fee with the investor. This fee is equal to one month’s rent, and will be used towards any inspections, appraisal and other pre-purchase expenses. Prior to closing, and after the inspections/appraisal, you will need to deposit 5 percent down (depending on the equity in the home) with the investor. 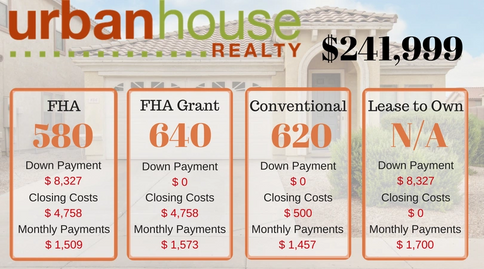 This will be used for your down payment when you purchase the home (anytime during your lease) from the investor. Also, prior to closing, you will deposit your first month’s prorated rent with the investor. When you purchase your home from the investor, you will typically pay around 10 percent more then what they bought the property for. This means that if you can purchase the house sooner, you will get a discount. Our goal is that 100 percent of the clients that enter the Lease-to-Own Program buy their homes! 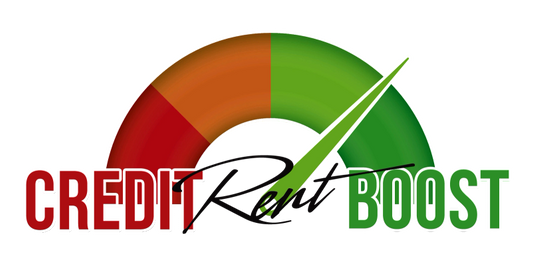 Every on-time rent payment is reported to 950 Credit, LLC, www.CreditRentBoost.com. 950 Credit reports your rent payments to your TransUnion credit report, helping your credit score increase! You are usually able to see the results instantly, after 950 Credit reports, on sites, like Credit Karma or FreeCreditReport.com. 950 Credit also offers options to be able to report your last 24 months of rental history. Pick out the home you love today! You do not have to worry about moving again in 12-18 months. Avoid paying additional utility deposits, moving cost or damage to your belongings. The landlord can not sell the home out from under you during your lease term. Build equity in the property as the market increases. Make improvements to the home that will benefit you. Work on increasing your credit score during the lease-to-own period. Our Credit repair specialists can help. Not being priced out of the market. Every year that passes, homes get more and more expensive. Finding Andy and Elsa and the Lease-to-Own Program was the best thing that has happened to us in nine years. We were able to find our home and move in, and we can purchase it in the next year when we are ready. If it were not for this wonderful program meant for people like us who have had financial issues in the past, we would not be in our home today, looking forward to the future of homeownership. Everyone in the program pulled for us and our dream.